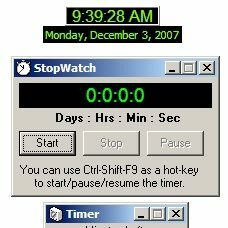 DClock 2 is a desktop clock that is small enough to fit over the titlebar of an open window and always stays on top. Perfect for people that keep their taskbar hidden. It has a number of customizing options and an assortment of time related tools. 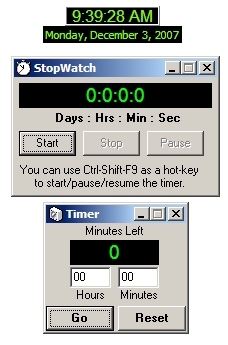 If you would prefer a portable clock, suitable for carrying on a USB thumb drive, try the original DClock 1, instead.